The standoff between the public general insurance companies and the top hospitals has softened a bit, with the public insurers mentioning that they will entertain cashless claims for now. But there is a huge gulf between this public posturing and reality. For all practical purposes, the preferred hospitals are not entertaining cashless claims from their patients/customers. The basic premise of the premium hospitals is that the patient has to pay for premium quality, and thus all hospital procedures between the premium hospitals and non premium hospitals cannot have the same price. But that is only half the truth. The public insurers argue, and justifiably so, that hospitals inflate bills tremendously when the patient has a cashless cover. The patient does not appear to be too bothered as he is not paying himself. The public insurers are now putting pressure on the premium hospitals to draw up a matrix where the expenses for the bulk of the procedures for which claims are paid are reduced by 30-40%.The hospitals are , as expected , fighting it. But sooner or later they will have to yield as their patient volumes are reducing drastically. Another interesting development in this entire saga is that the public general insurers have now decided to set up their in-house TPA as they feel this will help in reducing their claims ratio. Some of the private insurers, for e.g. ICICI Lombard, already have their in-house TPAS. For a moment, let us step back and understand what is a TPA. A TPA ( Third Party Administrator) is an organization that processes insurance claims. They sometimes handle the whole gamut of services such as claims admission, claims administration, interacting with the hospitals and claims payout. TPAs are paid by the Insurance Companies, and thus at a fundamental level, their loyalties lie with the insurance company. TPAs essentially connect the policyholder, the insurance company and the hospital, and thus are a crucial element in the entire insurance process. TPAs were set up first in 2001, and their core purpose was to act as an intermediary between the policyholder and the insurer. They play a very important role during the entire cashless hospitalization process. Policyholder cards are issued by the TPAs, and once the policy has been issued, the TPA remains the central point of contact between the insured and the company. Cashless claims are disbursed by the TPA to the hospital. Now the four public sector insurance companies would like to set up an in-house TPA, and have invited expressions of interest from various parties. 25% stake in this TPA entity would be with the external entity and the balance stake would be with the insurance companies. 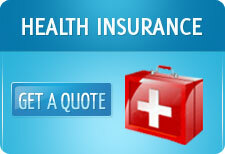 The insurers feel that this will help in reducing the claims ratio which is in excess of 130%. The frauds that are committed might go down as the controls would be tighter. The other factor that would come in is that there would be economies of scale achieved- currently the four public companies work with as many as 30 TPAs. Because they are fragmented, the TPAs do not have bargaining power with the hospitals. One big entity would be able to squeeze out far better rates from the hospitals. This new entity would be operational by July 2011 and over a period of 2-3 years, the public health insurance companies would look at transferring their entire business to this entity.